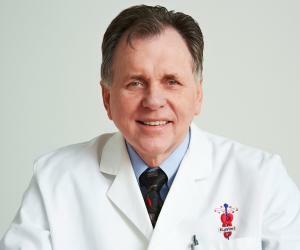 Barry Marshall is an Australian physician who has won Nobel Prize in Medicine for his discovery that peptic ulcers are caused by the bacterium Helicobacter pylori. Know about his childhood, life, works and achievements in this biography. A Nobel Prize laureate, Barry James Marshall is an Australian physician, who along with Dr Robin Warren made the historic scientific discovery, which stated the presence of bacterium Helicobacter pylori as the root cause for most peptic ulcers. The discovery came at a time when the world believed in the fact that stress, spicy foods, and too much acid caused peptic ulcer. It was a ground-breaking discovery as it helped in establishing the link between Helicobacter pylori infection and stomach cancer. Marshall was born in an average middle-class household. Since young, he displayed acumen for science and gained his Bachelor degree in Medicine and Surgery from University of Western Australia. He started his career as a physician but was soon inspired by the work of Dr Robin Warren, a pathologist interested in gastritis. Together their research led to the path-breaking finding that it’s the bacterium Helicobacter pylori (H. pylori) which causes most of peptic ulcers. For his outstanding work in the field of research, he was felicitated with numerous awards and honors. 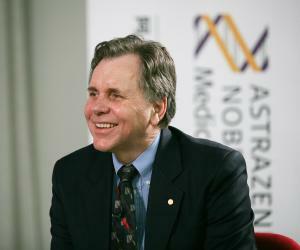 Barry Marshall was born on September 30, 1951 in Kalgoorlie, Western Australia. At the time of his birth, his father was in his final year of apprenticeship as a fitter and turner, while his mother left her nursing occupation. He was the eldest of the four siblings. In his early years, young Marshall was constantly under move, first travelling to Carnarvon where his father worked as a tradesman. After about five to six years, the family shifted to Perth. At Perth, he was enrolled at a prominent school. He was a very good student and both his parents encouraged his inquisitive nature and curious mindset. Completing his preliminary education, he gained admission at the Newman College and later at the University of Western Australia, from where he earned his M.B.B.S. 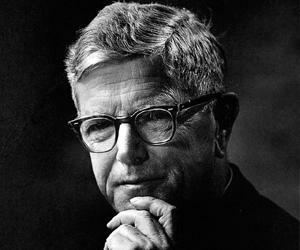 degree in 1974. In 1975, he interned at the Queen Elizabeth II Medical Centre. Interestingly unlike other students who displayed an interest in medical career, he was more interested in taking the academic route concerning research. In 1978, he began his training as a specialist physician. Following year, he moved to Royal Perth Hospital with a dream to gain more experience in cardiology and open heart surgery. Therein he worked as a physician-in-training. 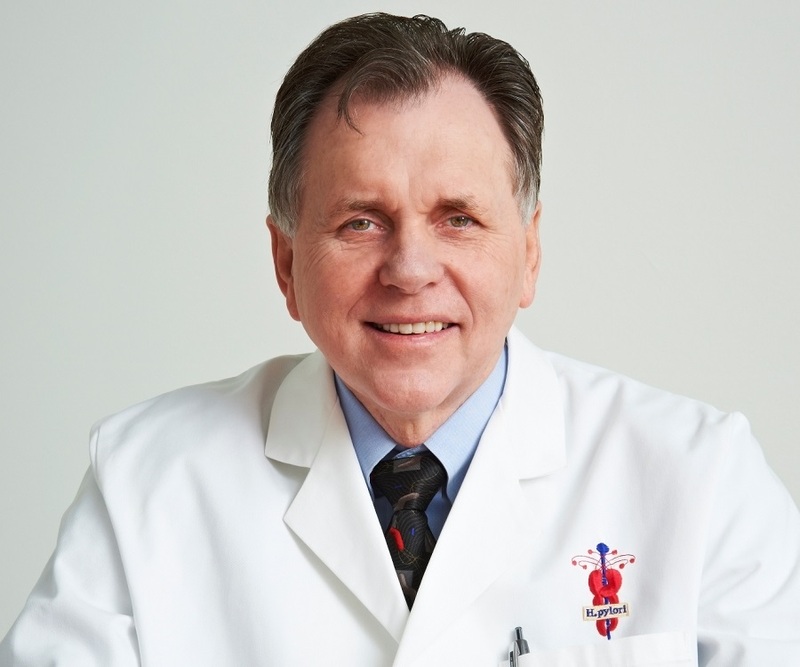 In 1981, it was due to the routine practice of rotation that he moved to the gastroenterology department where he had a chance meeting with Dr. Robin Warren, a pathologist interested in gastritis. Interested to work in a gastroenterology project, he was asked by Dr Tom Waters to assist Robin Warren, who had conducted research on the stomach biopsies on a list of patients who had the presence of curved bacteria and wanted someone to follow it up for him. He took up the research along with Warren and together the two studied intently the presence of spiral bacteria in association with gastritis. He soon got more and more involved and interested in the same. At the end of 1981, the routine of shifting yet again came up with his term at the gastroenterology department being over. For the first six months of 1982, he was to work as a haematology registrar looking after bone marrow transplant patients and later as a physician at Port Hedland Hospital. However, he gave up the same to continue in the field of spiral bacteria research, which fascinated him. In 1982, the family shifted to Port Hedland where he came up with much of his extensive research and writings. Following the end of the contract with Royal Perth, he found employment at Fremantle Hospital in Perth, which not just provided him with a senior registrar position but also funded his work. Same year, he along with Warren performed the initial culture of H. pylori and developed their hypothesis related to the bacterial cause of peptic ulcer and gastric cancer. However, this theory wasn’t accepted by other scientists and doctors who believed that bacteria could not survive in acidic environment of the stomach. After some hindrances, he finally succeeded in growing helicobacter in the laboratory. He published his findings in the British Medical journal ‘The Lancet’, but the same did not gain much attention. With the world believing that peptic ulcer was caused by emotional stress and stomach acids and its treatment was through a course of antacid medication, his theory of the presence of bacteria was ruled out. Though by 1984, he had experienced considerable success in treating human ulcer patients with the combination of bismuth and antibiotics, but he had not proved that introducing the helicobacter into a human subject would, in fact, cause gastric illness. Due to the lack of subjects, he tried the experiment on his own self and ingested turbid, foul-tasting solution of Helicobacter pylori into his body. A week later, symptoms began to emerge and his stomach lining showed inflammation through an autopsy. Although through wild means, he was finally able to demonstrate that it’s the bacterium Helicobacter pylori, which causes peptic ulcer. Now, his work started to get noticed. Experiments began to be conducted globally to wrong his finding but only resulted in augmenting his belief. In 1986, he was finally called to US to work as a Research Fellow and Professor of Medicine at the University of Virginia. In the academic profile, he not just taught but established the International Research Foundation for Helicobacter and Intestinal Immunology in Charlottesville, Virginia. 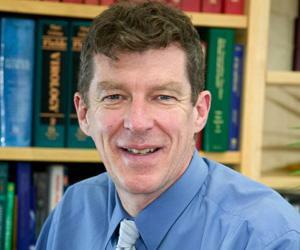 in 1996, he was the named Professor of Research in Internal Medicine at Virginia. What’s more, United States Food and Drug Administration officially approved a course of treatment for peptic ulcer disease consistent with his research and findings. Following year, he returned to Australia to take up the chair of Clinical Professor of Medicine at the University of Western Australia. In 1999, he was given the added position of Clinical Professor of Microbiology. Meanwhile from 1998 to 2003, he held Burnet Fellowship. He continues research related to H. pylori and runs the H. pylori Research Laboratory at UWA. Currently, he serves as the National Health Medical Research Council’s (NHMRC) Senior Principal Research Fellow at the University of Western Australia. In 2007, he accepted part-time appointment at the Pennsylvania State University. For his work on the theory of the bacterial cause of peptic ulcer, he was showered with numerous awards by the international scientific community. 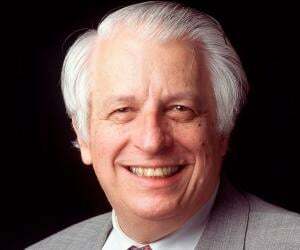 He won the highly-esteemed Warren Alpert Prize in 1994. 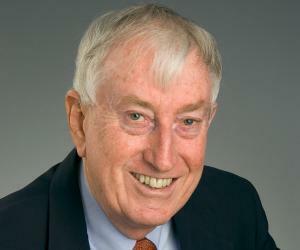 Other highly esteemed and prominent awards won by him include Canada’s Gairdner International Award, Germany’s Paul Ehrlich Prize, the Netherlands’ Heineken Prize, Australia’s Florey Medal and Centenary Medal, the Buchanan Medal of Britain’s Royal Society, the Benjamin Franklin Medal for Life Sciences and Japan’s Keio Medical Science Prize. In 2005, he finally received the coveted and highly-anticipated Nobel Prize in Physiology or Medicine, after a decade long contention over being top contenders. He shared the prize with Dr Warren. In 2007, he was appointed a Companion of the Order of Australia in 2007. Two years later, he was awarded an honorary Doctor of Science degree by the University of Oxford. He tied the nuptial knot with Adrienne in 1972. Together, the couple has been blessed with four children: Luke, Bronwyn, Caroline and Jessica.